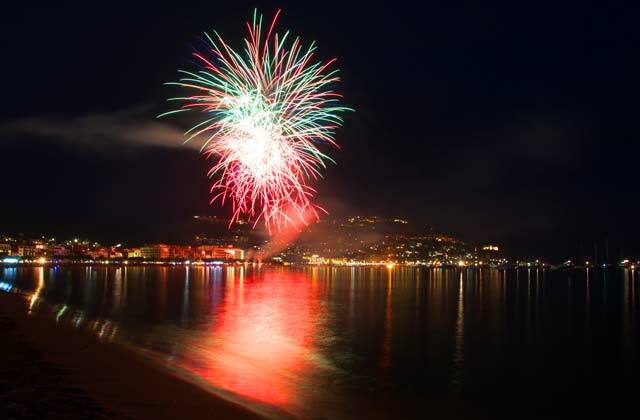 Saint John’s Eve, in Andalusia, is one of the most important and expected dates in the annual holiday calendar. It is one of the most desired dates for those who love magic, rituals, traditions and the holiday. 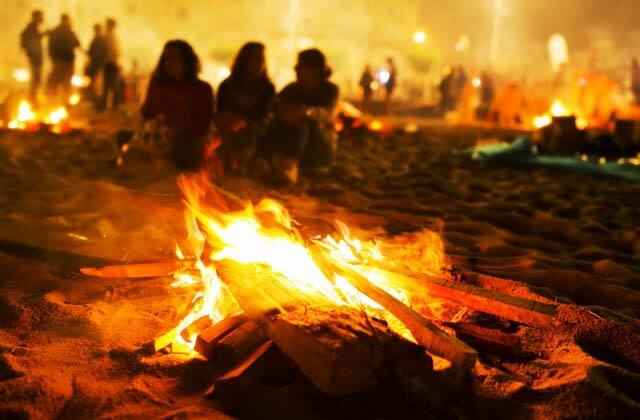 This is the night of the bonfires at the beaches and squares in Andalusian towns and cities. The date of the celebration of this holiday changes depending on the place. In some cities and towns, Saint John’s Festival is celebrated between June 23rd and 24th; in others, between June 24th and 25th. All celebrations have bonfires as their key elements. Other various rituals are part of the celebration, but they also change from one city to another. For some people, Saint John’s Festival is just another event to enjoy with family and friends; for others, it is a magical moment in which it is important to comply with all of the traditional rituals of the date. There are also some people that mix fun with superstition; those are the ones that spend the night having fun while performing rituals that promise a series of good omen. 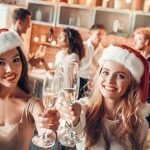 The origins of Saint John’s Eve come from a pagan holiday that celebrated the beginning of the summer in the Northern hemisphere. The symbolic purpose of the main ritual, the bonfires, was to give strength to the Sun. From the summer solstice on, the king of the sky starts to “weaken”; the days seem to be increasingly shorter. As a Christian holiday, Saint John’s Eve serves to celebrate the nativity of Saint John. 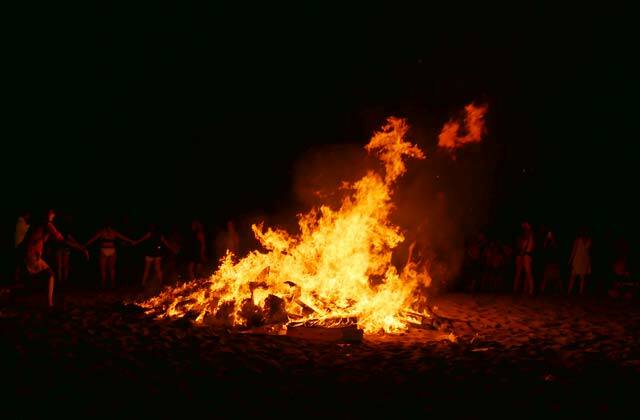 Thus, the purpose of the bonfires is to announce Saint John’s birth. Nowadays, Saint John’s Eve is a holiday to celebrate the start of the summer, the warm weather and the vacations. Fire and water are the basic elements of Saint John’s Festival. These elements are the basis of a series of rituals the purpose of which is to break curses and bring good luck, health, beauty and fertility, among other things. Fire from the bonfires are the key elements of Saint John’s Eve. It gives strength to the Sun, announces the birth of a saint, and it symbolizes purification. With fire, we get rid of bad luck; by burning old furniture and everything we want to leave behind. 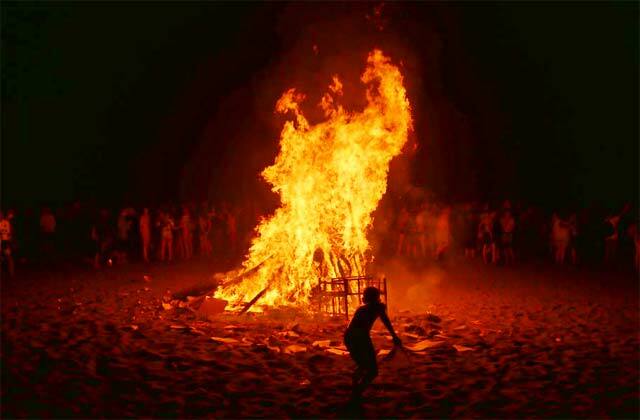 Leaping across the bonfires or burning in them papers in which we have written the things we want to eliminate from our lives is another od the rituals of the festival. According to the legend, the ashes from the bonfires have the power to cure diseases. In the Christian version of this celebration, purification by fire could be related to forgiveness of the original sin through the Sacrament of Baptism established by Saint John. Purification of sins is also related to another typical ritual of the celebration of Saint John’s Eve in Andalusia. In this case, the purifying element is the water; element that Saint John uses in Baptism. In the pagan version of Saint John’s Eve, water purifies and rids people of bad things and helps good wishes come true. The popular believe is that after midnight water becomes miraculous, cures diseases and it is source of beauty, happiness, and fertility. These believes give place to the rituals of face washing or showering after midnight. In some cities and towns of Spain, herbs are another element of Saint John’s Eve. It is believed that thyme, rosemary, and St John’s wort, among others, during Saint John’s Eve, have a better healing power. Therefore, it is customary in some places to go picking these herbs after midnight, in the countryside. There is also the tradition of hanging those herbs in the windows of the houses, to receive Saint John’s blessing. 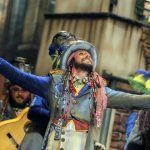 In some places of Andalusia, Saint John’s Eve celebration has its own peculiarities; little or big details that give this celebration its unique characteristics. 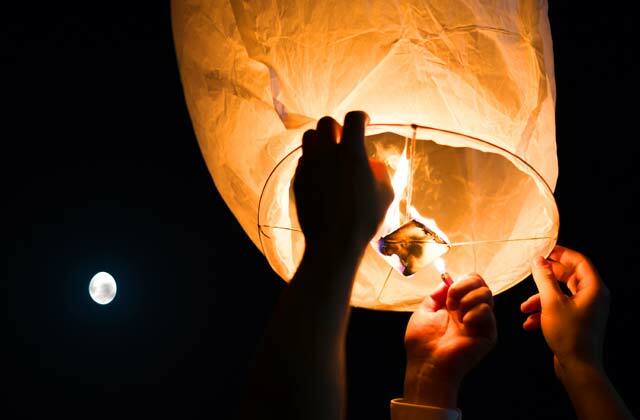 In the municipality of Almuñécar, on the Costa Tropical, the city council gives out, amongst the attendants to the bonfires, traditional bollos de aceite con huevos cocidos (oil buns with hard-boiled eggs) and sky lanterns to make wishes. In this Andalusian municipality, as in many others, people continue with the ritual of face washing or showering after midnight. 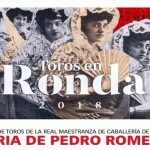 In the municipality of Lanjarón, Granada, the Water Run (Carrera del Agua) is the singularity of this celebration. 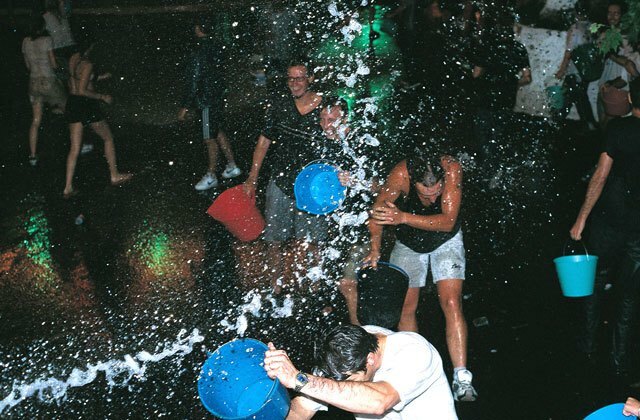 Locals and visitors of the municipality run the streets of the town between 12 and 1 a.m.; getting wet by water buckets, hoses, water balloons, water guns, etc. 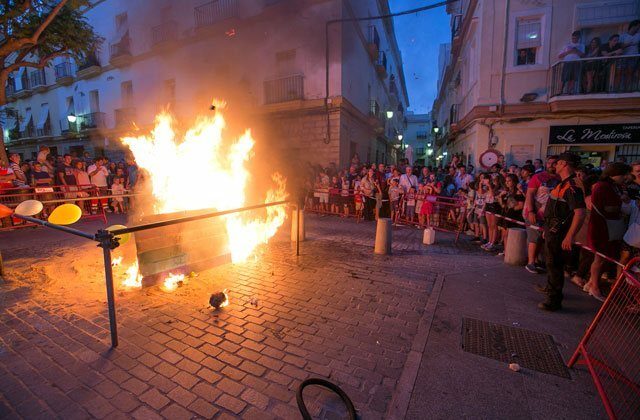 The unique element of Saint John’s Eve in lots of municipalities in Cádiz is to burn in the bonfire the so-called “Juanillos”. These are rag dolls, or dolls of other materials, made for the occasion. In some municipalities, there are contests to choose the best doll and the best bonfire. In Malaga, these dolls are called “Júas”. Sometimes, these dolls represent a public figure famous for his/her participation in an especially relevant event during the year. If you wish to discover this unusual side of Andalucía, don’t hesitate to stay at the best hotels. 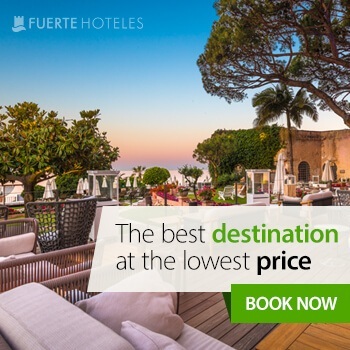 Without a doubt, the best option is Fuerte Hoteles. The chain has facilities where, apart from the regular services, you can enjoy the best of each spot in the Andalusian geography. Its over 50 years’ experience is the best warranty so you can devote your time to discovering these unusual corners. 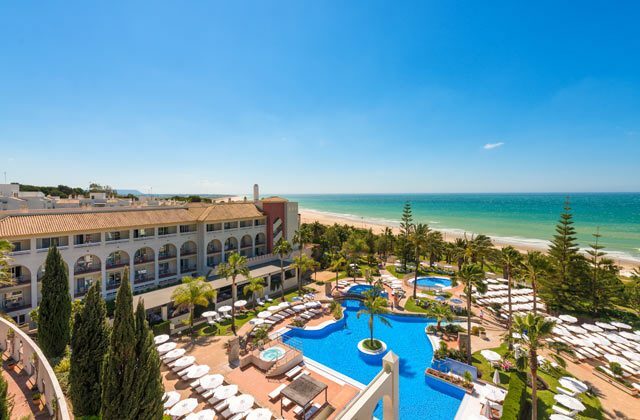 Marbella, Conil, Grazalema, El Rompido, Estepona or Torrox are some of the places where you can find amazing accommodation facilities near the spots we have recommended for you.